Darwin Project pits ten players, as inmates, against each other in an arctic wasteland with a game show twist. One player takes the role of director, spectating contestants and running an entertaining show, which can conveniently be streamed through Twitch or Mixer for their audience. While dodging nine other contestants, the inmate must also gain the director’s favor, since they have abilities to influence the match. However, after playing five solo matches, you can become a director. The countdown launches and you’re dropped into some random part of the frozen wilderness equipped with an axe and a bow. The combat is very basic, with only two ways to kill people. The game thrives on this simplicity, but its complexity comes from the crafting wheel. Aside from not freezing to death, avoiding other players, and playing nice with the director, your priority is to gather materials. There are three resources. The more common wood and leather, and the rarer electronics, which are displayed on the map for every player to see. Players can use these resources to craft armor, buff weapons, and create gear with special attributes such as coats to resist the cold and boots to increase movement speed. You can also craft more arrows, traps, and powers. Powers, reusable cool down abilities like an energy shield or invisibility, are crafted with electronics and are the most powerful tool in a player’s arsenal. The diversity doesn’t stop there. From the main menu, the player can choose from different types of each of the stated categories. Darwin Project encourages different playstyles and flourishes in every scenario. These scenarios vary based on prep-gear and contestant abilities. Let’s say the director is rooting against you. All you’d have to watch out for are zones closing in on you, your position being revealed via the director or a manhunt, sudden zero gravity, and nuclear explosions. To elaborate on the environment, there are seven zones on the map, each with their own portal to a different zone. What Darwin Project improves upon compared to genre tropes is its method of flushing out players. A giant circle won’t close in on a specific center, condemning the rest of the players for being too far. Instead, the seven zones will close individually, giving players enough time to escape by either crossing the barrier or running through the teleporter. There are also sci-fi mushroom objects that propel you in the opposite direction when attacked, allowing players to quickly cover a lot of ground. Even if the director tells everyone your location, the player still has a chance to gain the edge in combat. There are several log cabins around the map that contain a hologram of the zones with everyone’s location. If that’s not enough, you can also track certain players by picking up clues, or red highlighted objects. If the director reveals your location via manhunt, the game can turn in your favor if you survive. When the hunted player survives, they receive a bunch of rewards. Conversely, if another player kills the hunted player, they receive rewards. While the director can make your life difficult, it’s not impossible to sabotage their plans. Darwin Project excels in creating a fair gameplay experience in a potentially unfair environment. The true highlight of Darwin Project is playing as the director. I’ve never had so much fun in a multiplayer game before. As the director and host, your job is to provide a fair and chaotic experience to all contestants. When four inmates were about to cross shovels, I nuked the zone. Nukes give players a certain amount of time to leave before they’d be vaporized. The goal of this is to ensue chaos, while also prolonging the match for a more entertaining bout. The director is intended to be as unpredictable as possible, without breaking the game. For example, I encountered a player stranded in a closing zone with no way of making it out in time, and only one other player alive. Instead of allowing the surviving player to win by default, I gave the stranded player a speed boost to safety escape. While he won that match, I wasn’t unfair to the other player. The stranded player was destroying him, so I granted the other player an energy shield to defend himself. Of course, that didn’t help, as the stranded player was simply better. As the director, you aren’t a god that can do whatever you wish either. All your powers have their limits, and recharge based on different rates and a point system. You can only use a power once per match—not including duplicates—and each of them cost points. Points build up overtime, so you can’t start nuking players as soon as the competition starts. Playing director is the most creative aspect of a multiplayer game that I have ever seen. The developers ensured this works in a way that’s not overpowered, but just powerful enough to completely change the playing field while also retaining impartiality and fun for everyone. Playing the lone wolf may be appealing to some, but it’s not my strong suit, which is why I thoroughly enjoyed duos mode. The ability to play with a friend is exactly what the game needed, and strategizing with more than one brain allows more inventive tactics. You have to decide who gets what resource, especially electronics, and how to effectively use them, all the while being diligent enough to avoid getting ambushed by another team. For instance, my partner used a radar to see the enemy's position and directed me toward them to draw their attention. I used an energy shield to absorb the damage while my partner ran around and sniped them with his bow. We won that match and it was great being able to effectively strategize with a random player. Duos puts less of a load on the director as well, since they only have to jump between five perspectives instead of ten. It also gives the director more reason to level the playing field. For example, there was a team of two against one person. In order to give the underdog a chance, I healed and granted him warmth. This allowed the solo player to make it out of a closing zone, face off against his opponents, and ultimately win. While I influenced this, the odds weren’t fair to begin with. It’s an incredible feeling to give the contestant a fighting chance, especially one unfortunate enough to end up in a two vs. one situation with no health. Darwin Project piles on its ingenuity for fun with a simple mode that’s a staple of the battle royale genre. It’ll be thoroughly exciting when the developers introduce a five on five mode. It isn’t confirmed, but we suspect it will happen. What truly makes the dynamic between inmates and director work so well is the community itself. Everyone is so welcoming and kind, unlike what you’d expect from the internet. However, the developers implemented rules that make it hard to troll. On one hand, the inmates have to be nice to the director if they don’t want to be targeted. The director, on the other hand, must be fair enough to not completely take a side, since inmates rate the director after every game. If a director’s overall rating falls too low, they are unable to use certain abilities. The developers created the perfect incentive for a non-toxic environment. Darwin Project surrounds you in a gorgeous and desolate environment that you can’t help but admire. Although you have to help it because the silent and creepy atmosphere makes you feel like you’re in a horror film and need to run for your life. The sound of the brisk wind and footsteps are satisfying, immersing you in a thrilling survival experience. The narrator announces “kill” every time a player dies, amplifying the intensity while you might just be gathering leather from a couch. Once combat is initiated, you’re greeted with fierce music that sounds like the score from a low tuned thriller. The game doesn’t overwhelm you with bombastic sounds, allowing for literal breathtaking moments when you finally encounter another inmate. While the art may still require some polish during early access, the character models are the only aspects that seem distorted. They look great in cinematics, but are downgraded quite a bit in-game, especially the female models. Darwin Project deserves incredible praise, but since it is still in early access, it has some issues. A few include the lack of a compass for callouts in duos, knockback for bows is too ridiculous when the last zone closes, and the leveling system needs to be reworked to ensure players level after every match, even if they are the director. However, the reason why these issues are so arbitrary is because the developers are already on top of your complaints. I was going to mention how the game needs more customization and a skill-based matchmaking system, but they already announced these features. 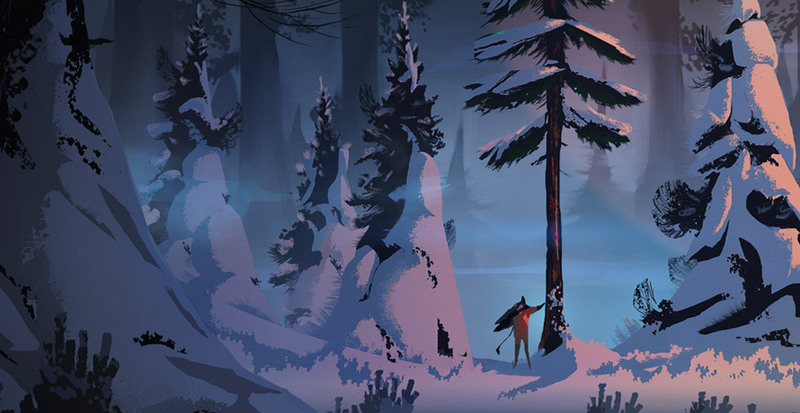 Due to Darwin Project’s dedicated team and welcoming community, this game will evolve beyond what it is now and might win over fans from PUBG and Fortnite. 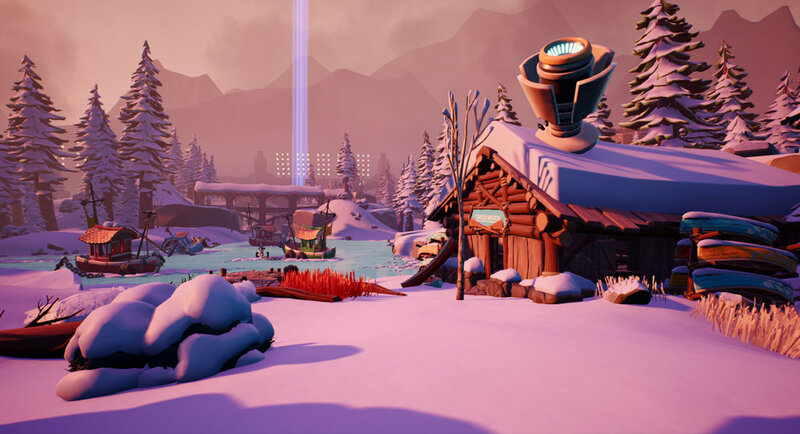 Darwin Project reinvents the genre and creates a solid community unlike other battle royale games. As a director, I’ve run into several familiar players and developed relationships. I’ve rooted for them and evened the odds against them. The same goes for when I’m an inmate paired with a director I enjoy or have to fight tooth and nail to survive because they’re against me. Darwin Project establishes a system of rules and allows you to fight against that very system. There’s never a moment where I felt restricted by a player’s impact on the match because the game places little hints to help you succeed even when the world is against you. Darwin Project is a well thought out and promising game that I cannot wait to compete in when the final version releases. As I tell all of my contestants, have fun, good luck, and don’t die.